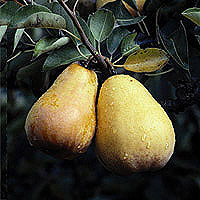 Pears are available year-round, with different varieties peaking throughout the seasons. Fresh pears should feel solid and can be ripened at room temperature. Quick treat: rinse and eat. Slow and tasty: rinse, core, and slice. Serve sliced pears with strong or mild cheeses. Try Brie, aged cheddar, Swiss, or Gruyère.